These amazing holiday stockings are truly wonderful and help bring holiday cheer to your home. 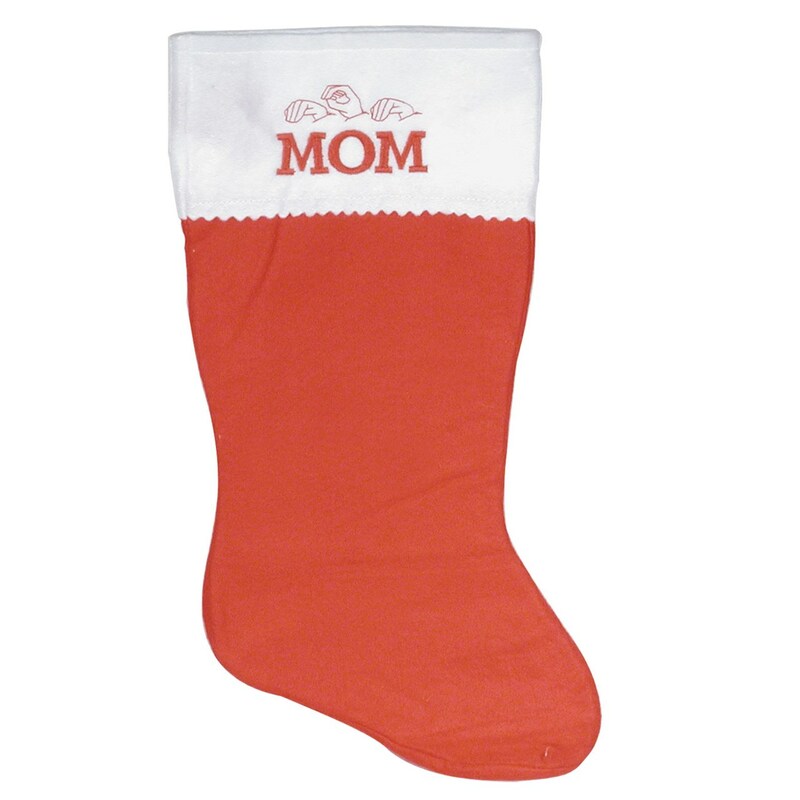 This stocking comes with the word Mom inscribed on top with the sign language translation as well. comes in the shape of an apple and also has the universal symbol. Makes a great holiday gift.